VertMarkets is a pioneering B2B media company devoted to connecting the world’s business and industry leaders within niche vertical markets. These connections are initiated and fostered through a variety of media products which include; print publications, online publications, custom content services, social digital platforms, industry events, primary research and professional training courses. Though VertMarkets has media products in 81 different vertical industries, it focuses primarily on Human Health related verticals which include; pharmaceuticals, healthcare, food, water and medical devices. Jameson Publishing, formerly Corry Publishing, was launched in May 1980, with its first publication dated October 1980. At that time, Corry Publishing had three employees. During the early 1990s, the company moved to Erie, PA to help bolster its growth. The move worked. Today Jameson Publishing is a working group of markets operating inside VertMarkets and has grown to include many other media products which include Web Communities, Print Magazines, Events and Content Publishing. Mr. Roberts was appointed President of VertMarkets, Inc. in August 2001. He has led the effort to transform the Company from a publicly held traditional B2B publisher (formerly VerticalNet, Inc.) to a privately held market-focused media company. When Peterson purchased the publishing assets from VerticalNet in 2003, Tom along with key members of the management team stayed with the assets and began running the new organization. Prior to being appointed President, Mr. Roberts served as Vice President of Corporate Strategy for VerticalNet. Prior to joining VerticalNet in 2000, Mr. Roberts was a Vice President (Senior Partner ) with Oliver Wyman Consulting where he supported the Business Design and Digital Supply Chain practices. Mr. Roberts received his BA in Econommics and his MBA in Coprorate Strategy from the University of Michigan. Jon joined the publishing company in 1993 as a salesperson. He continually increased his influence on additional products and markets as he led all aspects of growth from a print publishing company to a multi-channel Media Company. He is now then became VP of Sales & Marketing for all Media Company products where he helped facilitate connections and foster collaborations. Jon continued to increase his influence on every additional aspect of the business which led to his current position as CEO. Corry Micronics has been producing electronic components since 1970. The company was originally established in response to the needs of the United States Department of Defense. Forty years later CMI’s products are sold to military, telecommunications, medical, industrial and aerospace customers. CMI has become known for its excellent quality, service and on-time deliveries. Don is the president and CEO of Corry Micronics and is responsible for general management and product development. As VP of Engineering, Jim is responsible for product design, new product development, microwave & wireless products, and general technical management. As VP of Operations, Bob is responsible for manufacturing, vendor relations, facility management, product samples, large account management, and quoting. In times of uncertainty, preparedness is key. This is the premise that Dennis and his wife Sarah started the business with. Dennis began the operations in 2003 and ran the company untill 2010. He then connected with the Petersons to grow the business beyond where he had taken it. The business specializes in security for high-rise and high-occupancy buildings. 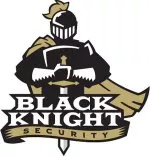 In addition to guard services, Black Knight Security (BKS) helps its customers prepare for unexpected events such as a fire, a bomb threat, tornado, and even cardiac arrest. BKS provides a wide range of security services, from dependable security officers to emergency action planning and American Heart Association training. Serving in the U.S. Army during Operations Desert Shield and Desert Storm, Dennis Lejeck understands the importance of preparedness and security in times of uncertainty. His military experience and 16 years in private security have given him insights into the trends concerning security needs in the U.S. Having experience in all aspects of security operations, Mr. Lejeck was able to create a security firm that leads the industry in innovative programs for both its clients and employees. He now plans on getting the business to a much larger scale. Mark Springer, Director of Bus. Dev. Mark joined Black Knight Security (BKS) in 2012 as our Director of Business Development. His primary objective is to market and build BKS into a regional security provider. Prior to joining our team, Mark previously worked as the Vice President of Business Development for a Pittsburgh-based security provider. During his five year tenure there, Mr. Springer helped the company to expand their operations to cover a six state region. Mark is also a veteran of the United States Navy. Peterson Cartridge is a brass casing manufacturer for large rifle bullet calibers. The equipment that produces its products was specially designed by an automation company. The automation company was tasked with refining the manufacturing process to consistently produce Match-grade casings which would compete with the best products on the market. Derek was a partner at Black Knight Security for the three years prior to launching Peterson Cartridge. His first love was with all things gun related and he didn’t find the Security business as rewarding as he had hoped. The knowledge and skills necessary to draw quality casings to the standard the business called for took Derek more than a year to develop. Getting up and running required Derek to move out of state for several months to learn how to run the specialized equipment that had been built for the business before moving it to its home in Pittsburgh.